When things can be outsourced why waste time in getting into the nitty gritty of them. Rather, it is always wise to look at the big picture and concentrate on the same. Wondering what are we talking about? When wedding bells ring, it is important that you focus your energy and attention on your life ahead and outsource the planning bit to seasoned wedding planners. From taking care of hotel bookings to deciding on the menu and gifts for guests, they will take care of it all and of course also ensure that your Big Day along with the other special days before it are well cherished by all. We decided to check on the best names in the industry and share the same with you just incase its time for you to take the leap of faith. So here is our 2018 list of the top 10 wedding planners in India. 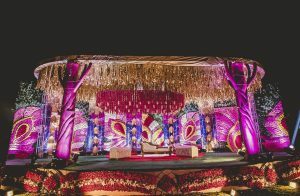 With over 14 years of experience, they have earned a reputation for organizing destination weddings, especially in palace locations across Rajasthan. 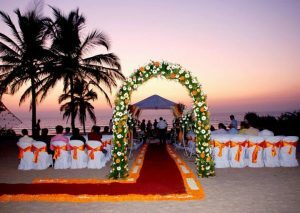 They also specialize in beach weddings in Goa and Kerala. No matter how big or small your function is, they take responsibility of ensuring it is celebrated to remember. Their portfolio includes planning for more than 400 overseas couples in the last 14 years since they began their journey. 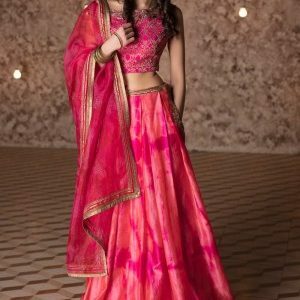 A brainchild of a fashion designer, L’amore Weddings has its base in Delhi but you can hire their services to plan destination weddings across the globe – from Turkey to Bangkok to Greece and a whole lot more options to choose from. They also help you with pre-wedding shoots, narrowing down on designer outfits based on your personality, jewellery and even make-up – all of it with expert stylists guiding you to look your best on your BIG DAY! The name sure is reason enough to consider them, right? If Goa is the destination you have in mind for your dream wedding, then these guys are the best to help you. They specialize in smaller scale theme weddings in Goa for NRIs and foreigners. From helping you register your marriage to booking a church or a priest, they do it all! They will also help you narrow down on your guest list, contact them, invite them and take care of all the RSVPs and yes, they can be entrusted to help you design a stunning wedding card as well. So basically, they are your one stop shop for all that you need to take care of everything and everyone for your special day. Based out of Mumbai, Marry Me offers complimentary consultation post which you can hire them at your discretion. They specialize in weddings across different caste, communities and religion. So whether you are opting for a small and intimate wedding or a large-scale celebration, or you fancy an exotic destination wedding, they are well equipped to take care of it all. They also help you design your wedding website, wedding registry and even help you with wedding insurance. We love the name! It automatically triggers an image of a bride waking in the church /mandap with her dad with people showering her with flower petals, isn’t it? These guys help you with small size weddings, especially in Goa. Established in 2005, they go beyond being just wedding planners. They specialize in wedding design and interior design for their niche clientele. Golden Aisle has an extensive in-house production facility at Margao in Goa. 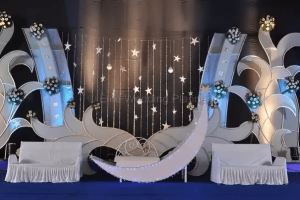 The themes that they specialize in are well presented to the clients in form of a picture gallery and mock set-up to avoid any unpleasant surprises at the later stage. The setting and the execution, both remain truly well planned. Along with their sister concern – My Wedding Planning, they specialize in destination wedding planning services. 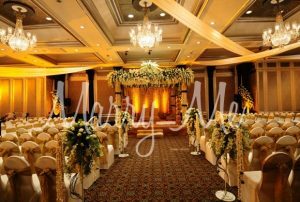 Based out of Mumbai, they have expertise in organizing weddings in Goa, Udaipur, Jaipur and Jodhpur. Moving beyond their comfort zone within the country, they also have been organizing spectacular weddings in Thailand and Sri Lanka. Besides being wedding planners, they also specialize in corporate event planning. Based out of Gurugram (Gurgaon) and Delhi/NCR, they began their journey in 2008 and have organized theme and destination weddings in historically rich cities like Udaipur, Jodhpur, Jaisalmer etc. They boast of over 50 turnkey weddings and 100 pre-nuptials so far. The name didn’t impress us much but then when we studied them a bit deeper, it left us completely impressed. 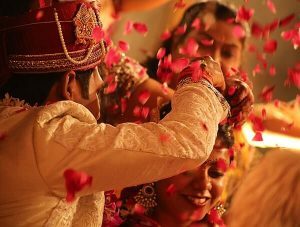 Based out of Bangalore, MyShaadiWale Wedding Pvt. Ltd was founded in 2006. They operate across the globe and have a subsidiary branch in Dubai as well. Get in touch with them if you are looking for an Adventure or Cruise Wedding as they are a few of their specialties apart from helping you with destination weddings, theme weddings, traditional weddings, beach weddings, royal weddings etc. They are one of the most renowned names when it comes to wedding planners in Bangalore. They specialize in organizing tasteful and stylish weddings taking care of everything from pin to piano! Leave the guest list, wedding stationary, menu selection and other things to them and see how wonderfully they take things ahead leaving you with ample time to be by yourself before the Big Day! Nopes, we haven’t got the spelling wrong. 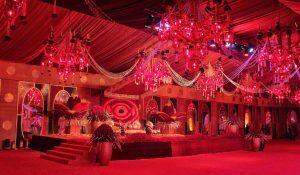 They call themselves Vings Events and they specialise in organising weddings in the royal city of Udaipur. In business since 2008, they will be with you to create a fairy tale wedding for you. From the décor to the menu, the royal touch is extended in all that they do to make your wedding a true destination wedding in Udaipur. Next time you have a wedding in a family, you know the list you need to refer to, right? It is always better to seek expert help wherever applicable and available and for wedding planning, in today’s age, it become a must! Thank you for sharing this nice informative article with us. Thank you for sharing this list of best wedding planners with us. this article is very helpful for me and others too.thanks and keep it up.